Surf at the Southernmost Point of Europe! Surf Tarifa School / KitePassion has been linked to the world of the surf since decades ago. Our love for the sea and the waves is passed from generation to generation. Our professional and certified instructors are happy to hook you up on this great sport! 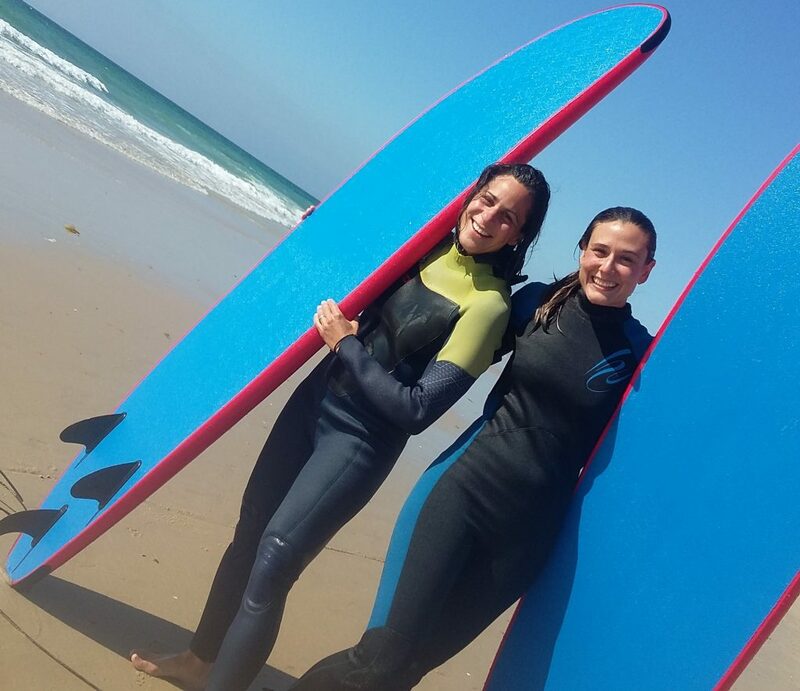 We are just 5 minutes walking distance to the amazing beach where you can enjoy your best surf moments. It’s also close to Balneario, a well know wave spot in Tarifa. Those days when the wind gets low, you will be able to catch great waves at Tarifa’s outstanding spots. We will provide you Alder softboards which will make your learning and progression even easier. For more information visit our surf and SUP website www.surftarifaschool.com. Our best surf course in Tarifa includes insurance, instructor, wetsuit, board, wax and leash. Are you looking for an accommodation in Tarifa? Click here for info about our surf lessons and accommodation packages. KitePassion has both surf and kitesurf equipment. I have been renting a surfboard from them the days the wind has been low in Tarifa and the waves better. There is a range of different boards to a fair price and great service!